What's the view like from the edge of space? 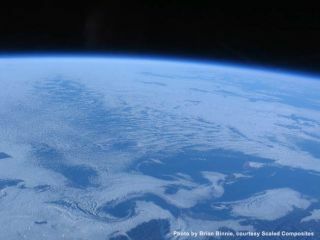 Here is what SpaceShipOne pilot, Brian Binnie, has in his photo album. He snapped this shot last year on an X Prize run high above the Mojave Spaceport and looking out beyond the southern California coast.